Eric DiLauro Official EFX Sports Trainer ; Team DiLauro"Mr Canada Pro Elite Trainer": Jay's New Endorsement "Smart Shake"
Jay's New Endorsement "Smart Shake"
Jay Cutler, bodybuilding's most recognized and personable athlete, being the 4xtimes, reigning and defending Mr Olympia, has entered into a contract with SmartShake, the world's best shaker. 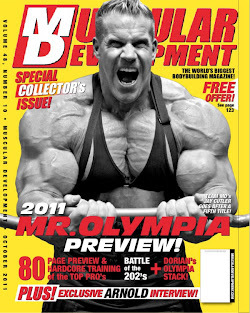 With effect from 1 January 2011 Mr Olympia Jay Cutler shall be SmartShake's face/spokesman for the whole world and help SmartShake promote its product. SmartShake produces, distributes and sells the SmartShake™, which is a patented shaker that has built-in cans wherein one stores several servings of nutritional supplements for example protein, creatine, vitamins, capsules, pre- and after workout products. With SmartShake one does not have to bring along bags with servings because everything is stored in the shaker. As a part of the deal a special "Mr Olympia Jay Cutler Gold Limited Edition" version of the SmartShake will be made. This limited version may be introduced to the market already at the Swedish Fitness Expo in Gothenburg on 11 December 2010. Jay Cutler, whose main sponsor is Muscletech, says that he has looked at and tried many different shakers, but that the SmartShake is by far the best and smartest shaker he has ever tried. "It is perfect to bring to work and on trips. As an athlete I constantly need protein, and just by bringing the SmartShake I have me three high quality servings of protein each day", says Cutler. "Of course I can also mix it so that I bring with me various supplements, such as protein, glutamine and creatine if I like", Cutler continues. The Ambassador the drive for five begins!!! !